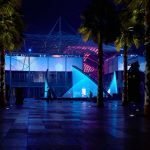 FLOAT4 kicks off 2017 in Dubai with an all-­new multimedia show that merges LED, video mapping, water-­screen projection, digital canopy and sound experience. 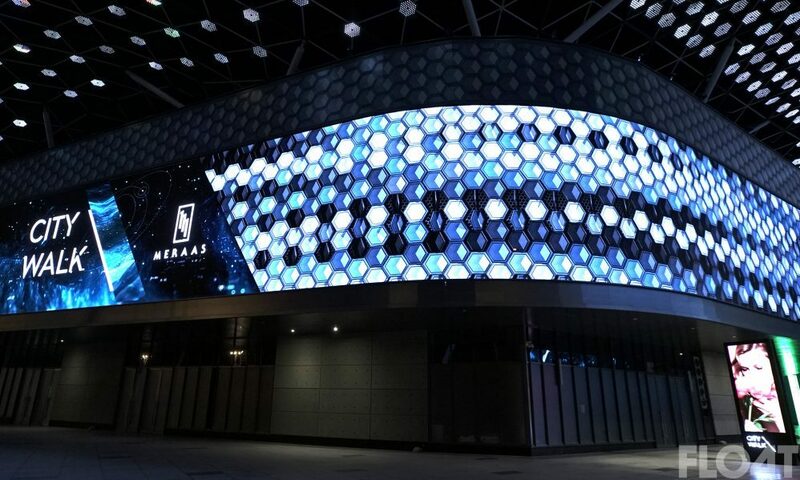 Meraas City Walk, a new outdoor retail shopping concept has come to life thanks to over 100,000,000 pixels of digital content, spread over 30 exhibition areas, making it the largest digital deployment in the world integrated into a luxurious retail destination. Created by FLOAT4, a multidisciplinary studio based in New York and Montreal, this launch represents an unprecedented experience and strengthens Dubai’s position as a tourist destination. The development aims to bring a new dimension to the standard retail centre found in Dubai by placing importance on the outdoor pedestrian experience. 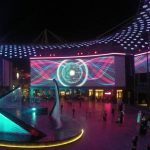 The Gateway, City Walk’s main entrance, features two giant LED screens 85 meters in length as well as a structure that serves as a digital canopy. 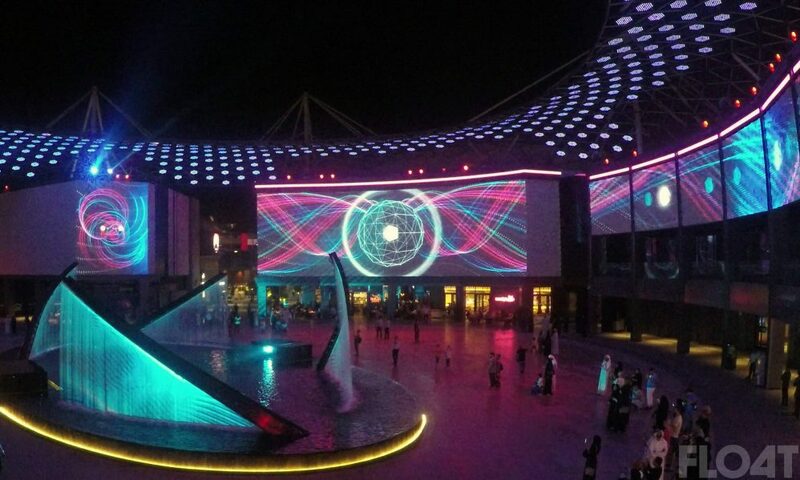 City Walk is a space where visitors are immersed in a spectacular digital media world. 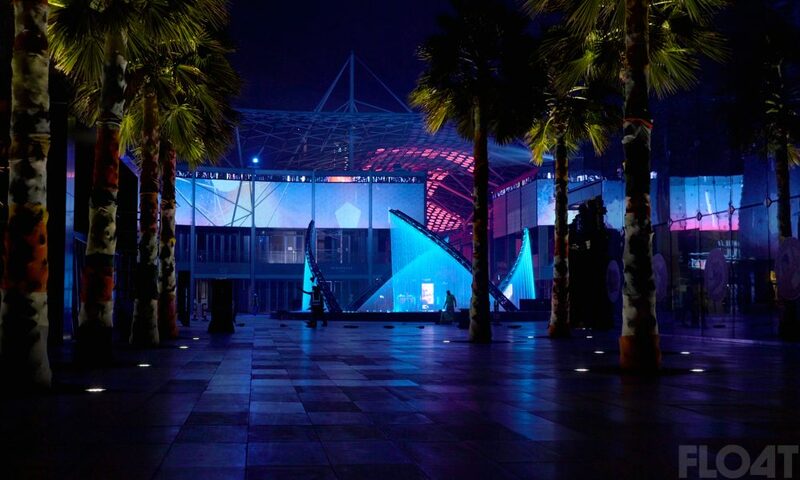 The Showstreet, which connects the Gateway to the Place des Lumières, stretches nearly 100 metres and includes a ground projection provided by 12 high-­definition projectors. This section can also be transformed into an interactive experience thanks to RealMotion, FLOAT4’s proprietary technology. 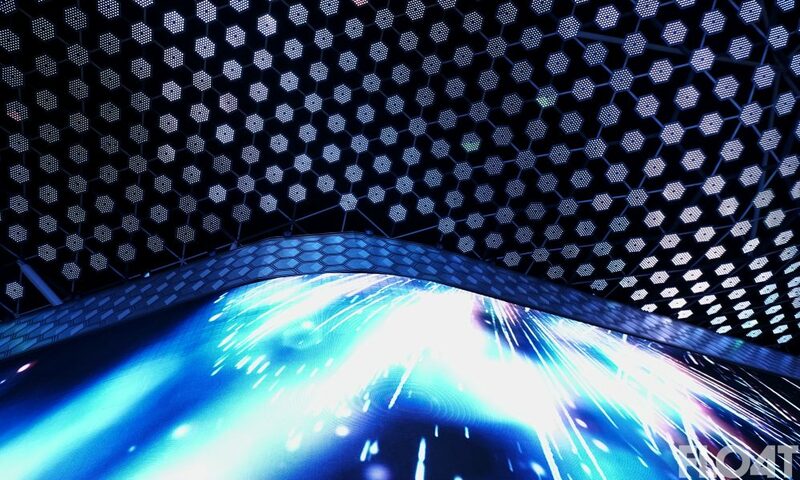 Taken together, the structure is one of the largest interactive surfaces of its type in the world. 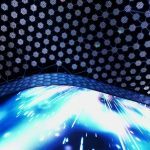 The highlight of the show, the Place des Lumières brings together over 20 projectors and more than 100 lighting features that result in a metamorphosis. The circular space is ideal for this audiovisual experience. At its centre, an artificial pond comes to life when four computer-­ controlled hydraulic arms emerge from the water. Each arm, equipped with a system of nozzles, create curtains of water on which projections are shown to heighten the surprise. 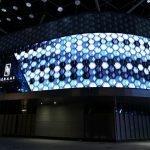 “The technical challenge to create this installation was considerable and our partners at XYZ Cultural Technology’s expertise and detail-­oriented thinking were critical in bringing the vision to life, continues Alexandre Simionescu. A cutting-­edge system reinforces the immersive multimedia experience. The project, designed and produced by FLOAT4, also involved the participation of the firm XYZ Cultural Technology, which provided technological solutions, as well as Fly Studio and Gridspace, which both supported creative content production.